I have heard this periodically throughout my life but unfortunately it is not usually taught by parents or schools but rather by life. 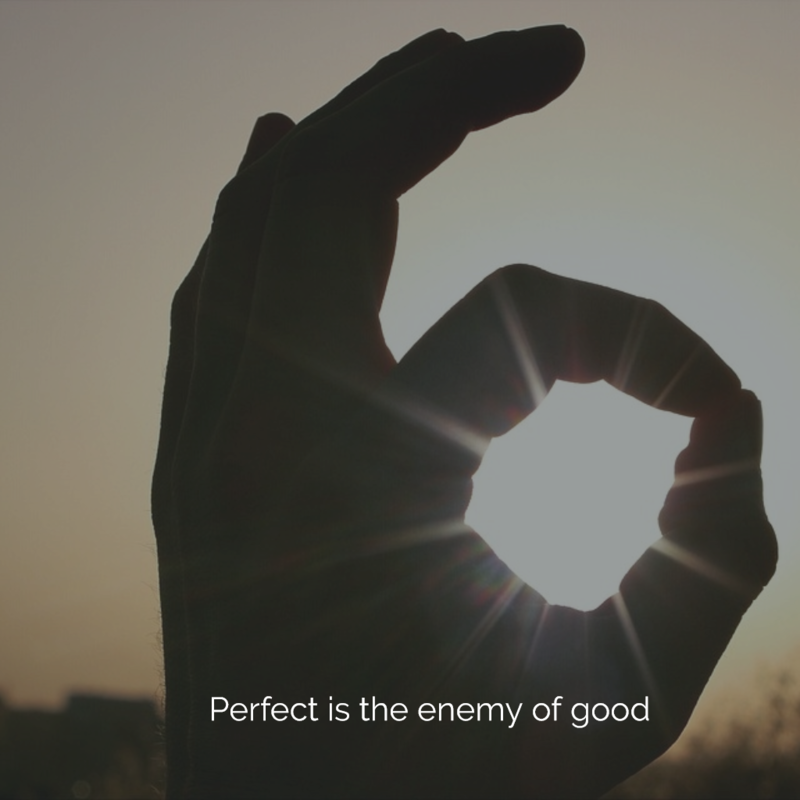 Some things in life you want to do perfectly but most times good is good enough. Take your resume for instance. I recently had a client that wanted their resume to be perfect. I am all for not sending one out with mistakes but they agonized over it. They sent it to friends, colleagues and people in their network for advice. Then they would rework it and start again. All the while, never applying for a position. I may not guarantee one way to find your next job, but I can guarantee how not to get a job… don’t apply. I am not saying you should send out your resume when it looks like crap but you do have to get to a point where good is good enough. Yes there are some basics you want to pay attention to; no typos, consistent and correct punctuation, etc… But I bet every time you or someone else reviews your resume you will want to change something. The same thing happens in interviews. People keep talking hoping that the more they say the better their chances of saying what is “right.” WRONG! In fact, one of the concerns we have in interviewing sales people is that some people talk too much. Here is a hint… sales is more about listening. I’m just saying. More is not always better people. It is OK to change as you go through the job search and your career. If you don’t change you are not doing it right. Don’t wait till you don’t want to change.